Kathryne Dahlman | Kathryne Designs, Inc.
Kathryne Dahlman, owner of Kathryne Designs, Inc., is a graduate of the University of Southern California and has been in the design field for over 25 years. She is a certified Interior Designer and a member of The American Society of Interior Designers. Kathryne has designed private residences, as well as commercial and restaurant projects all through the United States and in Europe. Beautiful, functional and timeless environments that reflect her client’s lifestyle and personality are the mark of Kathryne Designs. Kathryne draws her inspiration from her extensive travels, avid reading and researching historical architecture and design. Equally at home in the transformation of entire homes, remodeling and new construction projects, Kathryne’s specialty in kitchen and bath remodeling and interior architecture have resulted in unique and innovative spaces. Her firms services include a wide range of architectural consultation, new construction, remodeling, space planning, design development and construction consultation. While beautiful rooms are Kathryne’s first consideration, exceptional client service and attention to detail are of the utmost importance. She and her team work in close collaboration with architects, contractors, landscape architects and audiovisual consultants. From the preliminary planning stages through completion they achieve a harmonious design scheme which is unique to each client. Kathryne has participated in many prestigious designer show houses including the Pasadena Showcase House of Design, California Showcase, The American Society of Interior Designer Showhouse, and the Bel Air Showcase. She was the designer of the kitchen at the Getty House – the official residence of the Mayor of Los Angeles. 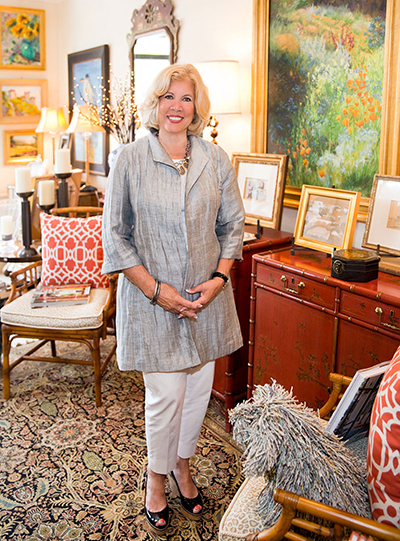 In addition to designing interiors, Kathryne’s career includes a retail boutique in Montecito, California where clients shop for unique gifts, decorative accessories and an array of paintings from the areas most talented artists. Kathryne’s work has been published in numerous national magazines and her work is shown frequently on HGTV and the Discovery Channel. Her community service and philanthropic interests include Children’s Hospital of Los Angeles and Assistance League of a Southern CA. Kathryne has also served on committees for the trade organizations International Interior Design Association and The American Society of Interior Designers.